Announcer: Welcome to the REI Foundation Podcast, where we cover all the steps and strategies to make your real estate dreams a reality. Now your hosts, Jason and Pili. 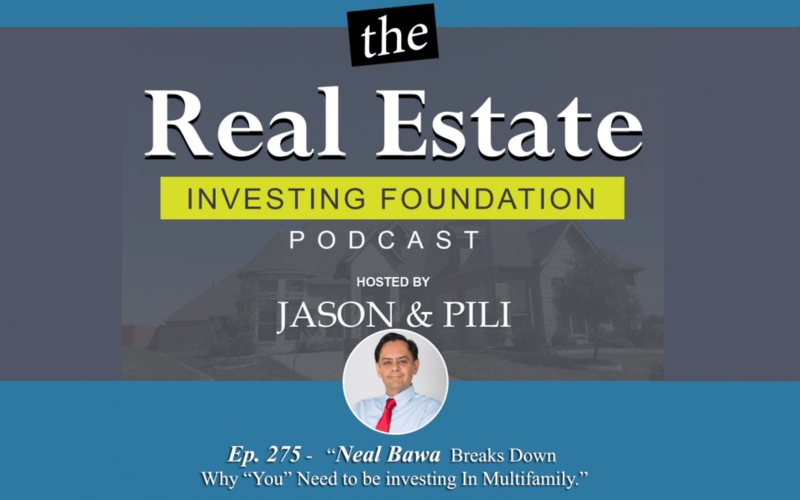 Jason: Welcome to another edition of the Real Estate Investing Foundation Podcast with Jason and Pili. Today you just have Jason, but you are in good hands because we welcome to the show, Neal Bawa. Hey, Neal, how you doing? Neal: Fantastic. Thanks for having me on the show, Jason. Jason: Well, thanks for being on the show and a little bit more about Neal. Neal Bawa is the CEO and founder of Grocapitus, a commercial real estate investment company. 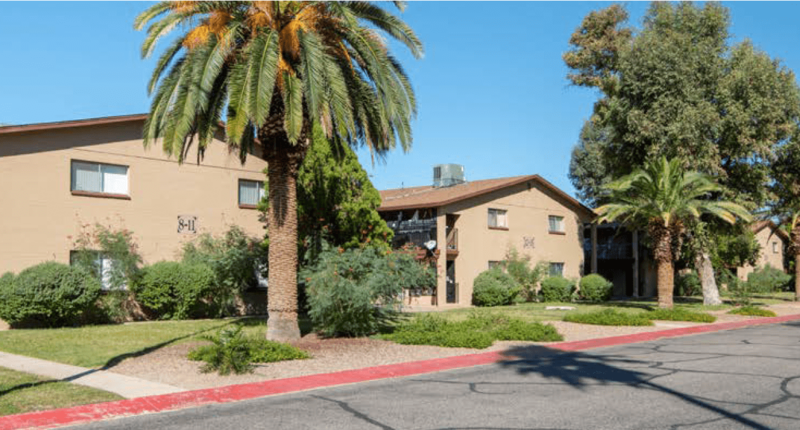 Neal sources, negotiates and acquires commercial properties across the U.S. for 200-plus investors and currently has a portfolio over a thousand units, which is projected to be at 2,000 in 12 months. 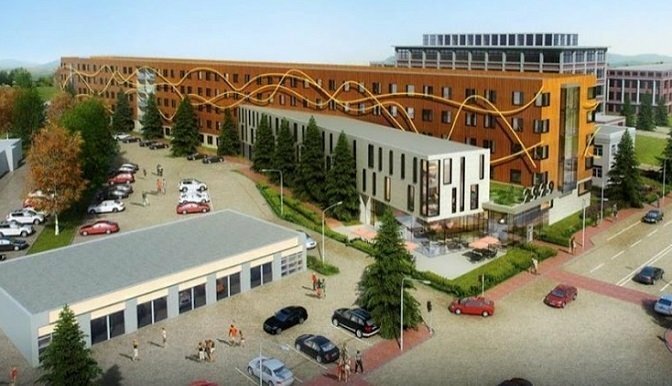 The portfolio includes multifamily and student housing properties in over six states. Wow, that’s pretty impressive, Neal. Jason: Look at this, what first drew you to real estate? Neal: Well, I fell into it by accident. So, I’m a technologist and I was running a company that was in education. It was a technology and healthcare education company and we were growing like crazy and eventually we kind of outgrew the building that we were in. And at that point, I had a triple heart attack and it was like, “No, no, we only have nine months left in this campus! We can’t build a building from scratch in nine months.” And he’s like, “No, no, you’ll figure it out. I’m going to give you a good general contractor.” That was my first introduction to the word general contractor. I had no idea what that meant and so I basically said, “Okay, fine, call this guy, whoever this guy is, he’s going to help me out.” And then I realized how massive a venture this was. This was August 2003 and our contract, our lease at the office that we were at, ended on July 3, 2004. I basically had nine months to build this thing from scratch and that was a trial by fire. Learned an incredible amount about, you know, building campuses. And then eventually we realized how profitable it was to do that, so we built six campuses, 200,000 square feet, in the timeframe between 2004 and 2013. So, I got to enjoy nine years of real estate while doing a technology job. Neal: Honestly, I had never built anything. My personal home pretty much came ready and I didn’t ever rehab it. So, this was, yeah, completely throwing me off the deep end sort of process, with me not knowing how to swim. And it was great. If your boss does it, then you’re less afraid of it, because what’s the worst that can happen? He threw you down into the pool, right? So, it was fine, and I was learning lots of interesting things. Here’s what I learned first: One is that the amount of value that you create in real estate when you take something that’s an empty building or dirt and you turn it into a functioning office or a functioning multifamily, is staggering. The amount of money that is created is not something that you can get anywhere else. He said all of this together in like 60 seconds. I was like, “Okay what part of this is easy? This is horrifically difficult.” He was like, “No, no, no. Go back and talk to them.” I was like, okay, nobody is going to listen to me. Nobody is going to ever believe anything I have to say. And he said yes! I was just stunned, Jason. I had no idea anybody would ever say yes. So then, the next guy I got a little bit more cocky and asked for more money and it worked out. So, nine doctors ended up paying for nine suites. We took 10,000, they took 20,000, and then, as we were building the suites, our company was growing so much that on day one, we actually took 20,000 instead of 10. Then we kept taking back the rest of the suites from them, they had trouble finding other tenants, and now the entire building is occupied by the college that my CEO and I founded. It was win/win/win. Our students got a great campus. Our business got a way of growing without having to buy all this extra real estate. We personally benefitted because we were investors, and then we had nine other guys benefit. What I was doing was actually called a syndication, I just didn’t know it at that point in time. I didn’t know I was creating a syndication. I thought it was just a joint venture, but that’s what I was doing. I was syndicating a property and so really, by that time I was hooked. I was like, this is great. This real estate stuff, it’s got some benefits. Then I did everything in reverse. I started single family. I’m a data scientist, so I looked up a city in the United States that got hit the most by the 2008 crises and on Zillow, there was this 10-foot long graph of all the cities and how much they’d fallen. I sorted that, so I copy/pasted it into Excel and sorted it. The city that got hit the most, Jason, was Madera, California. Madera, California, 20 miles from Fresno. I went to Madera, California and over a year bought 10 homes. These were $250,000, brand new Kaufman & Broad homes that were selling for $80 or 90,000 through banks, and the cash flow was immediate. I was making $1,000 on day one. I couldn’t understand why people were screaming at me, saying I’m an idiot. I was like, fine, maybe I am an idiot, but at least I’m an idiot that has $1,000 a month. People want to rent these things, Fresno has got a good economy. So, I’d go and buy one, I buy two, I buy ten, and they’ve done insanely well. I’ve never sold any of them. The rents are all up $15, 1,600 and the prices have all gone back up to a quarter million. But that was another great experience. Obviously, timing, right? I had nothing to do with the 2008 crash, but everything seemed to be really, really cheap and all of the dollars made sense, so I took advantage of that. Then I ran out of loans because you can only get ten loans. I refinanced, got my wife’s name off and I went to Chicago and bought her ten triplexes over three years. That went off really well. But then I started thinking, what happens when you run out of loans, right? There must be people buy real estate when they’ve got a billion bucks, what do they do? That’s when I chanced upon multifamily in late 2010, early 2011. I realized that I could invest in other people’s syndications, you know, $50,000, $100,000. I went and invested in 13 syndications over 2 years, investing 50 and 100 grand of my own money and I started learning from all those syndicators. All this time, I’m running my technology and healthcare business. It’s now grown to 400 employees. We know we’re about to exit but I’m learning all this new multifamily stuff and doing this on the weekends and the evenings. Neal: So, started in reverse. Jason: You know what? Sometimes that’s what it takes, right? But it’s also the ability to start in reverse and not get—there’s so many reasons why you could’ve stopped in the beginning, right? Jason: I’m sure learning to work with a general contractor or just the first conversation of raising money, they all can go in a certain direction. We can go in so many directions here, but I guess for the talk of—we’re going to take a couple steps here—but that first project being such a massive scope, what did you learn about from working with a general contractor. Neal: Well, the first thing I learned is never believe what they say. Get everything down on a piece of paper. That was the first learning because they would say A and just go out and do B.
I never understood that. I said, “Wait a minute. You built it wrong, here’s something you signed, why would I have to pay any of it?” I realized in real estate, when you make big mistakes, the general contractor, you somehow have to make it up to them in some way. That, coming from a technology background, made no sense to me, but that’s always how it’s been with real estate. That somehow you have to share the losses with them because you’re not sharing any of the profit with them, you’re basically just using them. That was interesting learning. Then I also learned that scale really mattered. When you were building stuff, building a single family home was way more work than building an office building and a lot less scalable. Early on, I understood that if I wanted to do real estate, the last thing I should do is buy one rental home or buy two. Very, very quickly I went through the process of one rental home to ten, then discovered the scalability problems with the loans and the fact that they were in ten different locations. Then did the whole triplexes in Chicago thing, same problem, right? Yes, now you have three tenants living there, so you got some more scalability, but again, by the time you get ten different triplexes, you’re running all over the town, your property manager is bouncing back from location to the other. Then I discovered multifamily. I was like, ah, this really scales! That was the big learning. That was the light going on and saying, oh, 250 units in one location? That’s pretty awesome. If my occupancy is 95%, I have 12 units that I can rehab and I’m still really happy with that. That’s not how single family works. Either I have 0 or 100% occupancy, right? Either I’m really, really happy or really, really unhappy. And so, I invited all these different Meetup Groups and fix and flip and buy and hold and of course, multifamily, and notes and lending. I invited a bunch of them, and everybody loved it because they wanted to come to these campuses that were filled with chairs and desks and overhead projectors and free internet. Who doesn’t want that, right? Normally they go into some tiny office and everyone is kind of standing and trying to get stuff done. And here I had these massive rooms. So, all of a sudden, Neal Bawa was the most famous guy in town because he was offering massive free campuses for any Meetup Group. Jason, I went from being totally unknown in real estate to being the talk of the town in like two months. Jason: Multifamily scalability put together with the Meetup. I want to touch on the Meetup a lot about growing a successful Meetup, but I don’t want to skip over just the impact you’ve had in multifamily. You invest in all these syndications in 2011. What stood out to you, out of so many opportunities out there, how did you pick the ones you wanted to invest in? Neal: A couple things. Firstly, I’m a data scientist. If I ever had a podcast—and podcasts are a lot of work, so I don’t want to do them—my podcast would be called like The Mad Scientist of Real Estate. Because I’m constantly looking at numbers and trying to basically find the one aha moment that other people are not going to find. When I started investing in multifamily, the first thing that was obvious to me is, that multifamily rents appear to trail single family. I realized that one of the most awesome things about multifamily is we have a crystal ball and it actually works! It’s an 18-month crystal ball. When I start seeing single family prices explode in a market, almost inevitably, 18 months from now, multifamily rents will explode. Why? Because in 18 months there’s a whole bunch of people who no longer can afford to buy single family homes in that market, but they’re upscale people. They were ready. They were ready to buy and now they’re priced out of that market. Guess what they do? They go into multifamily and they drive up the prices, because they can afford to pay more. These are the more affluent renters. They just missed their chance to own. So, they drive up the rents and that happens 18 months later. That was the first aha moment I had. The big aha moment was, okay, I’m a multifamily guy, multifamily investor, looking for passive investments. I should go find the cities in America that have the highest price growth right now. I started using Zillow and City-Data and Local Market Monitor and Housing Alerts and basically paying for data and combining all this stuff together and saying, “Okay, Housing Alerts and Local Market Monitor and Zillow says that the number one market in America that is going to explode in terms of real estate prices is this, is X. Well, I’m going to go find syndicators investing in X. Two days of calling and we had a whole bunch of syndicators. Now, the bad news was, some of the sucked. Some of them were awful and I just didn’t know that at that point in time. They just happened to be investing in all the cities that I wanted to invest in. I ended up investing with 13 of them, like 5 or 6 of them were just really, really awful, but they still made out like crazy because they were investing in the right city. Most of them, Jason, thought I would never show up in those meetings and they were completely wrong. In 2011 and 2012, I went over 100 meetings for like seven different syndicators. Here’s the big aha moment, Jason: Everybody knew how to do something well, nobody knew how to do it all well. Some guys were buying cheap. Some guys knew how to put really good looking lipstick on the pig and put it up for sale at the right time of the year. Some guys were great at rehab and saving money on rehab and some guys were awesome at leasing. But they all had different skill sets and they were not looking at each other! I was, because I was invested in all of them and I was going into their meetings. Eventually, what I realized was I was learning stuff that the general public didn’t know, and I was like, how the hell do I take all this awesome learning that I’ve got in my head from these people? It’s like, this guy is really awesome at this and this guy is really awesome at that. Now I know both of those pieces of information, somehow I have to remember it. The nice thing was a lot of them were like, “Okay, well, we’ll give you a try, but if you’re not a good speaker, we won’t try it again.” Well, as it turned out, I was in education, so one of the key things you learn in education is how to present and how to structure things and how to make great presentations, animations and transitions and all those kinds of things. I made these great presentations and I started teaching at that Meetup. I went sort of viral in a Meetup sort of way that six months after I started teaching, I was pulling in twice the number of people, because nobody likes to be pitched and they knew that this guy, Neal, has nothing to pitch. He’s just going to start his pitch by saying, “I work in this building and here’s what I do for a day job and here’s what I’ve learned in the evenings.” People really loved that. Jason: That’s the best thing, right? Show you’re bringing value into the Meetup. Well, with so much information here, one of the questions—there’s actually three that popped to me, but I’m going to start here. Going back, if you had the crystal ball today, looking back at 2011, when you were finding those syndicators, what makes a good syndicator and what were the bad points that you’d, today, would stay away from? The truth is, that if you want to be a multifamily syndicator, you’ve got to chase the markets. Right now, the number one market in the U.S. is Orlando and the number two market is Vegas. It’s very difficult to say that that’s not the case. You just have to read the last three reports from Yardi Matrix or REES [phonetic] or CoStar. It’ll be obvious that those are the best markets in the U.S.
I’m not saying you have to go to the best markets in the U.S., because sometimes they’re really expensive, so I’m not suggesting that at all. What I’m saying is, if you stick with one market all the time, you’re lazy. I want syndicators that at least go to two markets at a time and then every two to three years, they add a market because they’re seeing that market climb. Because otherwise, everyone is talking about Dave Lindahl’s cycles, they’re talking about the up cycle, the four phases. Well, whenever your market went into the fourth phase, the bad phase, where you’re not supposed to buy, why did you continue to buy? Well, you did it because you had incoming offers and you had lots of investors with checkbooks. You didn’t do it because it was the right thing to do. Jason: That’s great. Talking about it, you hear so much about the top of the market now, but it is in that point that each market has its own cycle. You’re not stuck at the top of the market in every single market. I think one of the biggest misconceptions that I hear now is I’m going to stop buying until we start seeing a correction. Well, I find that if you get to the point that you’re not doing your research, you’re not making your connections and you’re not getting out there, you’re putting yourself behind, because who is going to want to invest with you or who is going to want to know you and who is going to have that broker conversation with you when the market is at the low point? It’ll be hard to get money, hard to get financing, hard to get everything, especially if you’re not out there being active right now. Neal: Exactly! All that happens is that the problem changes. Today’s problem is finding properties that actually pencil out is extremely hard. Finding money is the easiest it’s ever been in history, right? If you wait and you go by 12 months, you don’t build your brand, you don’t build any credibility, let’s say 3 years go by and the market is down. It’s really, really down. Well, now you’ve got properties, they do pencil out. Who is going to give you money? Because you never spent the time to do your due diligence, to build your brand, to build your investors. Why would anybody at that point in time with the market going down, all this negative frame of mind—right now real estate is in a positive frame of mind. Maybe not in the San Francisco Bay Area where it’s crashing, but the rest of the U.S. is in a positive frame of mind. People are giving you money. In a negative frame of mind, people will only give money to people that they trust. Right now, your job is to build that trust. If you don’t believe that this market is the right market to buy in, you can do one of two things. One is buy less and second, buy in markets that are early in the cycle. You said it, Jason. There is no real estate cycle. That’s one of the biggest learnings I’ve had. There are 2,300 discrete cycles in the United States. Every one of those is a separate market. What you have to understand is, that if you think that all of those markets are in the ninth inning, then either you don’t understand cycles or you’ve never done your research, because the truth is, that while today, out of those 2,300 markets, there’s probably 1,000 that are already in the ninth inning or that are in overtime, but there’s plenty of them that are actually in the second or the third or the fourth inning. I typically will not look at a second and third inning market, because they tend to fall back a lot. I’m more of a fourth, fifth, sixth inning guy and I know that Atlanta is in the fourth inning. Why? Look at Local Market Monitor stats. Atlanta’s price for single family matches its income price. Dallas? The price for single family is 22% over the income price. You see that difference? Atlanta there’s a match. What that means is, the price of homes matches the price of income, the level of income, and that means that Atlanta can go a long way. Local Market Monitor says you can easily have a 20% gap between those two numbers and the market is still not inflated. Well, that means that Atlanta can go up 20%, that means that there’s 4 years left at 5% annualized growth, which gives me a lot of head room to play. Remember, I get another 18 months after that. That’s five-and-a-half years in Atlanta. But do I have five-and-a-half years in Dallas? No. I don’t even have a year in Denver. I’m done with New York. I’m done with Seattle. The point is, they’re separate markets and they’re all at different points in the cycle and if you don’t understand that, you need to do more research. Jason: I was just in Denver yesterday and just looking. I mean, I couldn’t look in any direction without seeing a crane or something being built. Neal: That scares me. That scares me, right? It’s when you’re seeing so many cranes—well, you’re at the end of that process and whoever right now has that crane up is sweating like a pig because he knows he’s at the end of the market and he knows that if the market turns before the crane’s gone down, he’s finished. He’s got a recourse loan against his name because it’s a construction loan and who knows, he might not even be able to make his money back. It’s very, very scary when you see stuff like that. The San Francisco Bay Area turned in late May. In four straight months, we have seen absurd declines in the San Francisco Bay Area. Last year, we had 26% price growth in Santa Clara County. This year we are at -.2. That doesn’t seem like a lot, it’s like -.2. Yes, it is if it’s dropped that much in just 12 months. It means that it’s not going to stop at -.2. It’s going to keep racing at this very, very steep number. It’s going to go this way and in about 6 months, Santa Clara is going to be -10 or -20. You’re looking at that curve, the steepness of that curve and going, “Oh, boy, Santa Clara County, don’t want to buy anything there.” Well, if you go to Santa Clara County right now, there’s 100 cranes up there that you can see just from any elevation point and 80% of those projects will not break even. Jason: Wow. Incredible points. Looking at where we’re at today, what are you working on? What are you focusing on right now? Neal: Well, there’s two things that I’m focused on. One is now that I understand that markets are at different cycles, I’m focused on markets that are not overpriced. One of my favorites is Atlanta. Once again, using third-party data, that has nothing to do with Neal Bawa, look at Local Market Monitor and look at how they gauge Atlanta. They gauge Atlanta as a low risk market because incomes and housing prices match. That means that that market can continue going for a year, two years, three years, four years down the line, so I have the ability to do that. I’m going into that market, but I’m doing something that is reducing my returns a great deal. Most of the time, I’m going in with loans that are 10-year fixed loans. When you go in with a bridge loan, you can boost your investor returns a great deal. You can pencil out projects that would never, ever pencil out with a 10-year fixed. You can do a lot of things. I’m simply saying, this is my time not to do any of those things. I’ve done them before. I’m done with it for this cycle. I want a 10-year fixed. Because the beauty of it is, that with a 10-year fixed, I’m going to whether that down cycle without having to refi, because a refi is the big horror for multifamily guys, in the middle of a down cycle, and then I have enough time for the cycle to finish, plateau, come back up, and then rise above so that I can sell it seven years down the line. Late in the cycle you’ve got to be prepared for that. The vast majority of my projects at this point in time are 10 or 12-year fixed loans. Firstly, I’m going into cities that are not overpriced, like Atlanta, and second, I’m getting 10-year fixed loans. Those are my two principles right now that I’m teaching to my students—and I teach about 6,000 people a year—those are the two key principles. If somebody says, “Are you actually doing what you’re talking about?” Yes. Last four months, I bought three buildings, they’re in Atlanta, Atlanta, and Atlanta. And two out of three were fixed loans. I wish I could get the third one with a fixed loan, but it just wouldn’t pencil out. It was still a strong property, so we made an exception to that rule. But the key is, remain flexible, but have your principles and stand behind those as you move ahead. Jason: It’s great confirmation and I’m glad you’re saying that because we just bought a building two weeks ago. We have a 10-year fixed on it for the exact same reasons. We don’t want to be forced into a position three, four years out where we have to make a decision based on the loan structure. So, looking at these markets the size we’re talking about, basically rents versus home price and income levels, what other metrics are you basically focusing on when you’re choosing a market? Neal: Well, what I do is that I take a bunch of different metrics and I mash them together. I do mash-ups and I do these in Excel. Our team does them in the first week of every quarter. The key metrics for me are property prices—sorry, population growth. Number one is population growth. Number two is home prices and whether they’re overly expensive. We take that data from Local Market Monitor, are they overpriced? Number three is going to be job growth. We’re not just looking for job growth, we’re looking for job growth of the right type. A Google job is actually like three Walmart jobs or four Walmart jobs. We’re trying to figure out what kind of jobs are being created. A healthcare job has much more value than a construction job because a construction will finish in two years. That healthcare job is going to be there forever. When a city creates healthcare jobs, it’s creating them for 20 or 50 years. When it creates a construction job, it’s creating them for two or three years. Therefore, counting jobs, which is what everybody does, is the wrong thing to do. You have to assign weightage to the jobs. Jason: That’s a great point. Thank you for sharing that. That’s a great point. I’m putting that into my mental notes as we continue to look over. I don’t want to gloss over, but you’ve created this gigantic Meetup and we’ve created a Meetup and we’ve seen the benefits of it. Why should someone start a Meetup in their local town or local community if they want to get into multifamily and what is maybe one or two tidbits you can give to them to really start on the right foot? Neal: Sure. I highly recommend you start a Meetup, especially if it’s not a huge city. A mid-size city, Meetups are very beneficial. Number one, you’re looking to brand yourself. Number two, you’re going to learn at a very accelerated pace from all of the people that are going to come into your Meetup. Now that you created a Meetup, you’re obliged to go there once a month or twice a month. Let’s say you have two locations, you’re going there twice a month. Now that you did that, you have to research and find the right kind of presenters, which means that you have to do outreach. In a way, you’re putting subtle but continuous pressure on yourself to find people, to connect with them, to learn. Also, people will walk up to you and they will ask a question that they will be asking the presenter, but they start to assume that since you’re the organizer, you would know the answer to that. Guess what that forces you to do? Learn at an accelerated right. Now you have to pick up lots and lots of stuff that you didn’t have to pick up before because you were just one of the participants. There’s this brand value that comes with it and then there’s the brand responsibility that comes with it when people start expecting that you know a heck of a lot more than they do. Both of those force you in the right direction. Now, you asked me for tips on what do you want to do with your Meetup that makes it unique or different and make it grow faster. The first thing is this: Meetups by themselves have no value. The value is created in two things: The database and the nurturing. How do you create the database? Understand this: When you have a Meetup, even the very best Meetup, 80% of the people that will sign up for your Meetup will only come to one or two events, 80%. That’s for a very well-designed Meetup that has lots and lots of events. 20% of them will come for a lot more and they’ll stay on for a while. It is critical that you capture those 80%. The first thing that every Meetup must have is an iPad with a Google form. You walk into the Meetup, what’s the first thing you should be told to do? “Here’s the iPad, please sign in.” How are they signing in? You go to Google form and you design a simple form that says first name, last name, email address, phone number, that’s it. Then you might actually add a date to the form, so you know when they attended your Meetup. Why is this important? Number one, you capture their information because after two Meetups, they’ll be gone. A lot of these people are busy, they don’t have time, but now you’ve captured them in your database, and you can keep nurturing them for online webinars and for your future syndications, things that you want to sell them. Now, because you have their information, you’re also compliant from an SEC perspective, because you’re saying, this person, A) Joined my Meetup and second, attended my Meetups, and third, was interested when I sent out a project. I have built a relationship with them. Those are the key pieces. You do not want to say, “Bring your business cards.” Business cards are not important. What’s important is everybody signs into the iPad. When people tell you, “Jason I was here last month, do I have to sign into the iPad?” Yes. It is mandatory for everyone to sign into the iPad. Because every time they sign in, you have a new record created for them in that Google form and you can tell the SEC, if you ever get audited, “This guy came to four of my Meetups, how could he not possibly know me? I’m the organizer. He walks in, we say hi every single time.” So, you’re building that relationship. Number one, you’re building the database. A database is still worthless by itself. It needs what is known as nurturing. Nurturing is the process of using email and text messaging to basically figure out what the hell did this guy want? This guy, Jason, walks into my Meetup, what does he want? Is he a rehabber? Is he somebody that’s just looking at multifamily? Is he somebody who has a million dollars in his IRA account and is looking to invest? Who is this person and how do you figure that out? What is an action? Let’s say you want passive investors. In the email somewhere you have some statement that says something like, “Recently we learned that passive investors are making a lot of money doing this and that and everything else and CNN wrote an article about this.” Where you say CNN wrote an article, you hyperlink it. If this guy clicks on that article, he’s interested in passive investing. Then you have another paragraph that talks about, “For people that are very interested in actively learning about multifamily and using other people’s money, we have this one-page toolkit that tells you how to safely accept other people’s money,” or “how to raise money.” Something very basic, it’s like a one-page document, it’s very basic. Now if he clicks on that link, you’re going to categorize him as somebody actively interested in multifamily. Maybe he doesn’t want to be passive, but he wants to be active. Then one question that you must always, always, always ask every person that joins your Meetup is, are you accredited? Every Meetup person that we’ve ever had join our Meetup, 3-400 of them, have been asked that question: Are you an accredited investor? Now, that’s very useful for multifamily. For fix and flip, you’d probably have two or three other questions for them. It’s really about understanding that contact databases are not very useful. Nurtured databases that are segmented are incredibly powerful. Jason: Thank you for that. That’s going to make my Meetup better, so if anybody else is listening out there, and the power of the Meetup is beyond. We’re nowhere near Neal’s size of a Meetup, but we’ve learned a ton and have been able to make great connections and it’s been highly valuable. If you are thinking about starting a Meetup out there, don’t think anymore, just get started. You don’t have to know everything. You surround yourself with good people and you learn, just like Neal said, because you’re put in a position of having to figure out those answers quickly and it scales your education. Absolutely great stuff, Neal. This has been great. I really, really appreciate your time today. Two more questions for you: If someone is listening today and they’re just on the sideline trying to get started and they can’t figure out that first step to get in the mix, what is an actual step they can take today to get moving? Neal: I always say that the first step is educating yourself. 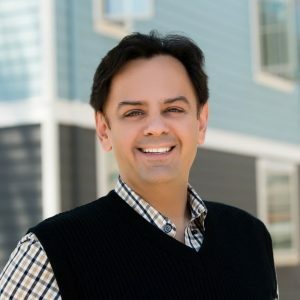 I would suggest that you go out to www.MultifamilyU.com, that’s MultifamilyU.com, and the page is filled with incredible webinars with multifamily experts. Everything from underwriting to securities law to real estate data to analytics to software is on this page and it’s all free. But where you should start is not with anything that’s on that page. Right at the top, there’s a bar that says, “Real estate trends toolkit.” You can make a bunch of mistakes in real estate, as long as you know where the trends are going. Right now, you can go into Boise, Idaho and practically anything you buy in Boise, Idaho is going to either make money or not lose money. Why? Because Boise is the most powerful city in America for real estate right now. Boise, Idaho is. How do I know that? Go into the trends toolkit, watch the videos that I put in from YouTube, read all of the different reports, then go to the ranking section and look at the single family, multifamily, fix and flip, appreciation and rent growth mash-ups that I’ve got on there. 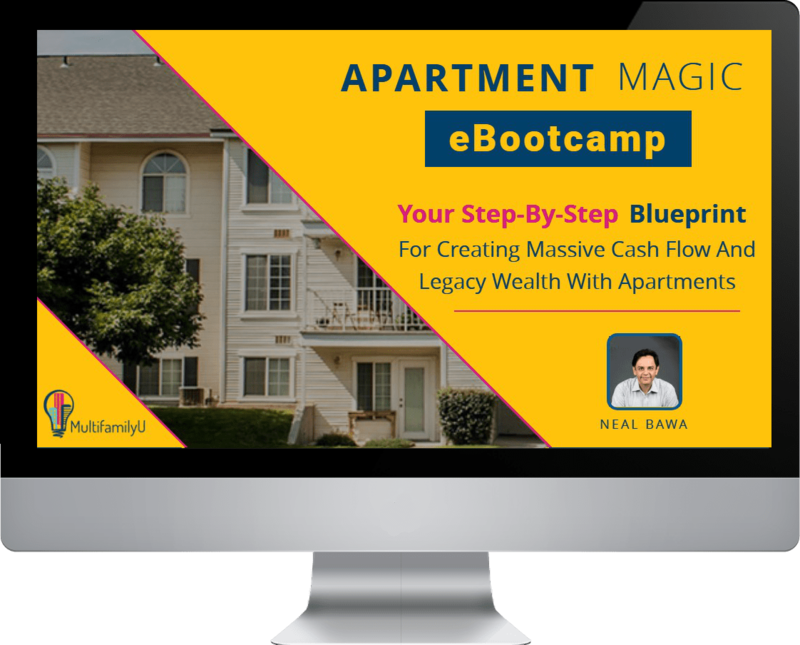 Read all the different articles from the different sources and I can guarantee in about three hours, you’ll know a lot more about real estate than you do right now. Jason: I love that. Thank you so much for that. If people want to learn more about you, where is the best way to connect with you? Neal: Well, I think the best way to connect with me is MultifamilyU.com. I teach a webinar there once a week and then someone else teaches a webinar there once a week. We had Kim Lisa Taylor, who is a securities attorney, teach a webinar about how to do multifamily syndications and how to raise money from investors and that was earlier this week. And I’m going to be teaching a webinar, I think it’s tonight or tomorrow night. Once in a week, something that I believe I’m good at, I teach, and once in a week we have someone else that is a specialist teach on MultifamilyU. That’s the best way to connect with me. Every webinar that we teach has my email address at the end of it. Then also, there’s certain events where we drive you to a page, like for example, if you’re interested in opportunity zones, we drive you to, okay, now that you’re interested, you watched the webinar, what do you want to do with opportunity zones? A) You’re a broker, you want to submit opportunity zone on eligible properties; B) You’re a developer, you’re looking for funds. Well, if you’re doing A, click this link. If you’re doing B, click that link. So, we are offering ways for people to interact with us, not just watch our webinars. Jason: Amazing. Neal, thank you so much, this has been great. I’ve learned a lot and really appreciate your time. Jason: Thanks for being on the show. Neal: It’s been fun to be on the show, Jason. Jason: Amazing. Well, for everyone listening, we appreciate your time as well and if you like what you hear, make sure to go to iTunes and give us a five-star rating and review, but we do want to thank Neal Bawa. Thank you so much for coming on the show today, it’s been a pleasure having you. Neal: Likewise. Thank you, Jason. Thanks so much. Announcer: Thanks for tuning into the REI Foundation Podcast. Check back next time for more awesome tips and strategies to launch your new you in real estate.